The Sony Alpha A6000 with 15-50mm lens is said to allow users to test their limits of creativity with a premium mirrorless DSLR focused on speed. Every single shot, whether candid or fast-action, is supposed to benefit from the 24.3-Megapixel detail and one of the world's fastest autofocus available. 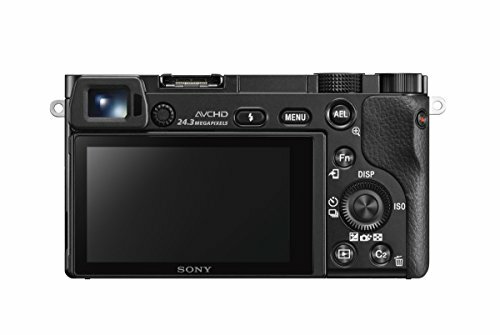 The A6000 is supposed to be easy to use and features two quick-access dials allowing users to change settings on the fly. For a camera that comes in under $1,000, this mid-range digital single lens reflex camera is a favorite amongst hobbyists and professionals alike thanks to its superb image quality. Like any other camera on the market, this mid-range DSLR camera is chock full of settings and features designed to give the user the desired effects they wish for. Sony boasts that the A6000 is the solution for users who wish to test their creative limits, and with all the options made available, it really could be. Below, we have provided a list of key features of the Sony Alpha A6000 and a little bit of information on each one. With Sony’s 24.3-megapixel APS-C CMOS sensor, users can capture images in stunning high-resolution. Thanks to the newly developed 24.3-megapixel Exmor APS HD CMOS image sensor, photographers of any level can capture detail photos and produce gorgeous enlargements than most other DSLRs. Not only the details are sharp, but the colors are beautifully saturated. This sensor also features a gapless on-chip phase detection design, and the light-collecting efficiency allows for “improved low-light shooting and reduced noise throughout its ISO sensitivity range of ISO 100-25,600,” according to Trusted Reviews. ​​​​The Sony Alpha A6000 boasts of having an image processor that “faithfully” reproduces textures and details in real-time. With its detail reproduction technology, the Bionz X Processor promises more sophisticated processing in the form of a more subtle and sophisticated sharpening system that promises less emphasis on edges. This processor also promises diffraction reduction, according to Digital Photograph Review, in which “the camera’s processing attempts to correct for the softness caused by diffraction as you stop a lens’ aperture down.” All of this is to deliver “true-to-life images” and enable greater detail, richer tonal gradations along with lower noise. The enhanced Fast Hybrid autofocus (AF) combines fast phase-detection AF with high accuracy contrast-detection AF, giving users the best of both worlds. The Hybrid AF system includes a 25-point contrast-detect and a 179-point phase-detect. The phase-detect points give users a wider coverage area, coming out to around 92 percent of the frame, allowing the autofocus to track moving subjects. The Hybrid autofocus was accelerated through a new Spatial Object Detection algorithm to achieve some of the fastest autofocusing of any camera. 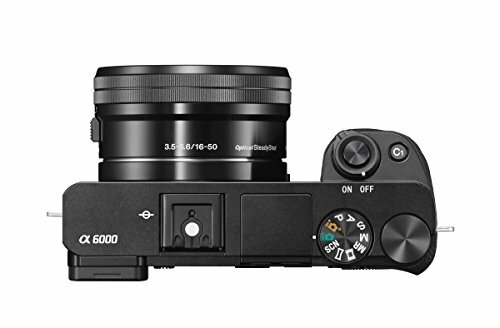 The A6000 captures 11 frames per second in continuous shooting mode with autofocus tracking making the most of the 179-point phase-detection AF sensor. This allows users to deal with fast action and make the most of moving subjects with its subject-tracking performance, giving photographers beautiful images and videos. The Sony Alpha 6000 features an LDC that can tilt 90 degrees upward and also down by about 45 degrees. The screen's resolution is 921,600 dots, common for mirrorless cameras in the mid-range. The aspect ratio comes in at about 16:9, which is suitable for video recording, but not so much for still shots. The OLED Electronic Viewfinder (EVF) features a system with four double aspherical lenses that delivers 100% coverage and a wide viewing area according to the manufacturer. This wider viewing angle is said to be used for clear, dramatically improving visibility. Recording Full HD 1920x1080 videos has never been easier, thanks to the A6000’s 179-point autofocus. Users have the choice of creating their videos in either cinematic 24p or fast-action videos in 60p and 60i frame-rates. Thanks to the A6000’s Wi-Fi capabilities, the camera can be remotely controlled with smart devices such as smartphones or tablets. Users can also transfer photos with the Wi-Fi or with the use of the NFC connectivity. What's more exciting is that this camera can also be controlled from your Mac or PC. While you can adjust many of the camera functions from your computer, users still can not view a live view like you can with a smart device. Also exciting is the fact that the camera works with 16 apps that are made available through PlayMemories. Some of the apps include Star Trail, Liveview Grading, and Smooth Reflection. While some of the apps are free, others range in price from $5 to $10. 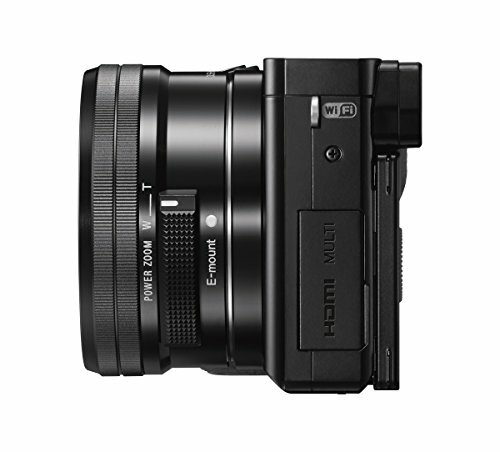 The A6000 measures in at 4.7x2.8x2 inches and are considered a super-compact mirrorless camera. It comes in at about half the size and weight of a typical DSLR camera but has the same size APS-C image sensor. While the body is made up of composite materials, it feels solid in the user’s hands. Now, let’s take a few moments to take a look at the camera’s layout. This Sony makes use of a double dial design at the top, which many photographers prefer since it means dedicated dials for specific settings and uses. The first is the mode dial, which is home to the Program, Aperture Priority, Shutter Priority, and Manual modes. It also includes two Auto modes and a sweep panorama mode and even a custom setting (MR). To the right of the mode dial, users will see a control dial, the on/off switch, the shutter release button and one of two customizable buttons. One other thing you’ll notice is the ISO standard hot shoe, which allows mounting of a variety of camera and flash accessories. Located on the front of the camera are the AF-assist lamp and the IR receiver to the left. On the right side of the camera is where you’ll notice the contact areas used for connecting your NFC-enabled smartphone, while on the left is the camera’s I/O ports. These ports include the Multi-Terminal port that handles USB, charging, and a wired remote, and then a separate micro-HDMI port. The back of the camera has a variety of different settings and options to it. 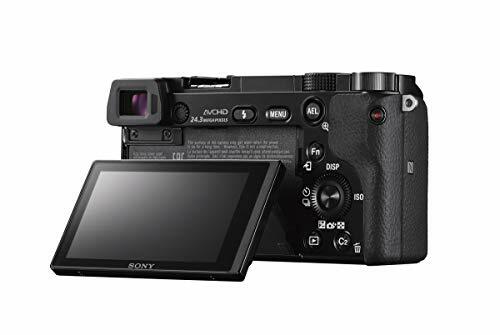 Not only is the viewfinder and LCD screen located on the back, but so is the flash option, menu, a video play button and the rotary dial that consists of the display option, ISO menu, timer, and burst shot. The FN and C2 are both programmable buttons. Located along the bottom of the camera are the battery insertion slot, eject lever, the memory card slot and the battery and memory card cover. Some features that are missing from the A6000 include microphone and headphone jacks, and this camera isn’t weatherproof. While the body of the camera isn’t weather sealed, some users say that it is still a sturdy, well-built camera, capable of withstanding tough conditions. The overall performance of this camera seems to be impressing the consumers as many have remarked on how fast and responsive it is. Another area consumers are pleased with is the image quality. This model seems to render details very well. One area that seems to be still lacking is the battery life. While this model is said to be able to manage 360 shots per charge, it is essential to keep in mind that using the camera’s Wi-Fi, use of the power zoom and creating movies can and will significantly reduce the overall battery life. When it comes to traveling with this camera, it seems that users should have additional batteries available if they want to make the most of their camera while out exploring the world. The Sony A6000 has relatively good image quality overall. Users get improved JPEG sharpening at low ISO’s and the brand’s Dynamic Range Optimization feature helps to get well-balanced images. The camera’s color rendition is beautiful and is helped by the reliable white balance, giving skin tones and skies a sense of reality, with no unpleasant tints or shading. 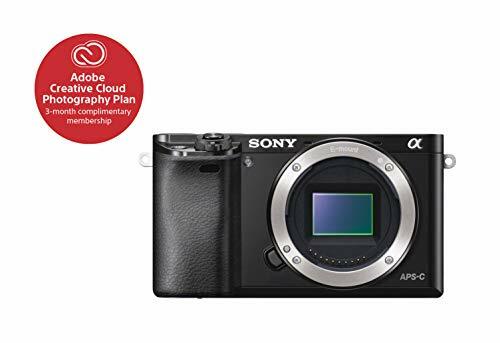 With an average review of 4.4 stars out of 5 amongst nearly 2,000 customers, the Sony Alpha A6000 Mirrorless Digital Camera ranks pretty high. Based on customer reviews from both beginners and professionals alike, this camera is a reliable option, especially for those who need a budget-friendly option. Let’s face it; not everyone can afford the top of the line, $6000+ camera, so when a mid-range camera such as this hits the market, you bet consumers are bound to get excited about it! Some may wonder about the lower price range, but it’s clear that Sony didn’t cut corners with this model. Yes, there were a few downgrades amongst the updates, but it seems as if any cuts were for the benefit of the users. Even if some of the decisions, such as the lack of a touchscreen, may seem a little curious. 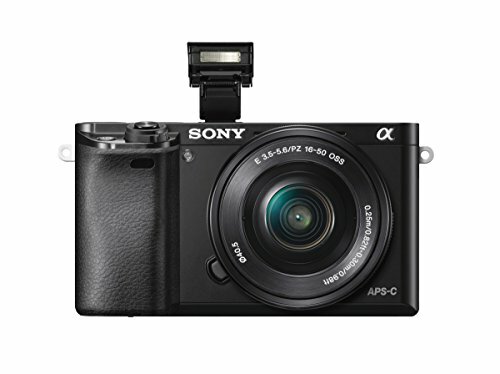 When compared to similar cameras in this price range, the A6000 scores high in the pros department! Many users believe that this is the perfect entry-level camera for those just starting to dabble in photograph. Even professionals believe that this camera is well worth the investment. Listed below are only a handful of positive responses given to this camera by its customer base. While this camera has had many positive reviews, no product is perfect. In fact, there are quite a few people that have both major and minor issues with the camera. One of the biggest problems mentioned online was the fact that the battery tended to overheat. Another frequent issue seems to be with the lens kits and poor lenses. For many, the video option was also lacking in its appeal. Between questionable quality, and again, the overheating issue, some were left very unsatisfied. Listed below are just a handful of negative responses given to this camera by its customer base. The Sony Alpha A6000 is a game changer in the eyes of the consumers it would seem. Yes, it has its flaws, but nothing is ever going to be perfect. What is important is that the features and settings are compatible with the consumer’s needs, and that seems to be the case with this DSLR camera. Some things you’ll want to keep in mind while shopping will include the pros and cons listed above, your overall intentions for the camera, as in what types of projects you want to use it for and your overall budget. Yes, this is a budget-friendly model, coming in under $1,000 in most places, but you’ll want to keep in mind the prices of accessories including additional lens packs, storage systems, and even extra batteries for traveling. That being said, if you are looking for a mid-range camera that can pack similar punches as the more luxurious models, then this Sony may be the camera you have been looking for. 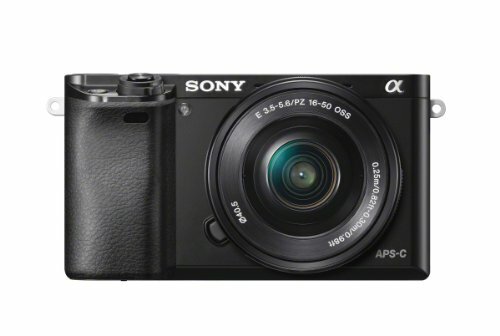 The Sony Alpha A6000 DSLR camera got a 4.4 out of 5 stars rating from a lot of users in Amazon. 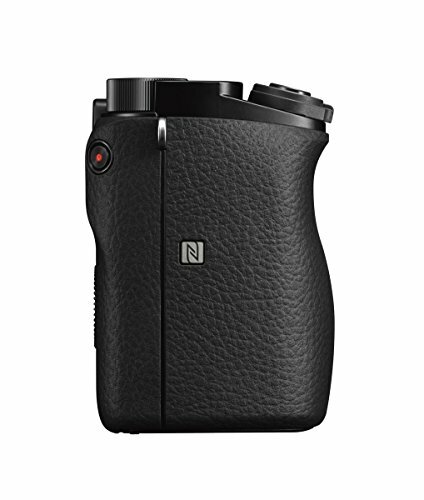 This is because of its amazing features such as the 24-megapixel APS-C sensor, high quality, responsive viewfinder and WiFi capabilities. However, some of its drawbacks include the slow start up, poor lens range and low battery life.